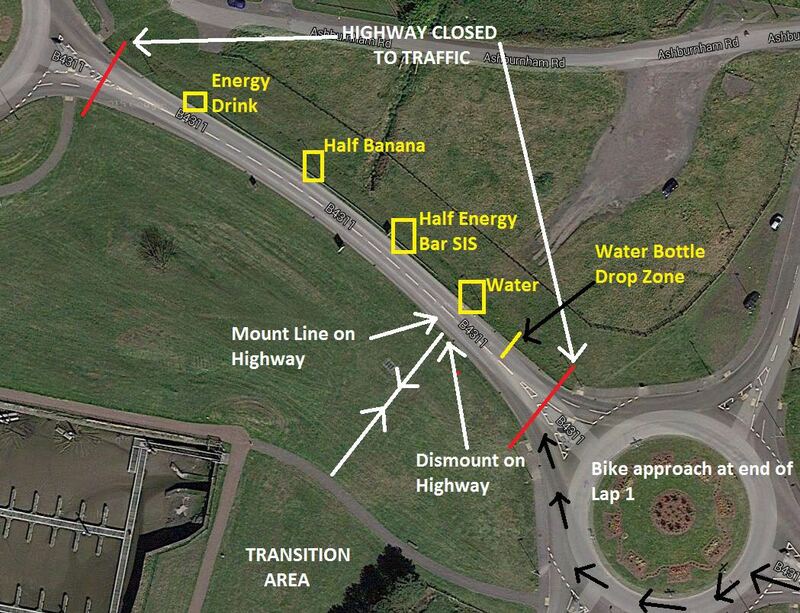 We thought you may find a map of the Bike Feed Station useful. Please slow down on arriving at the Feed Station – this section of the road is closed to traffic. Discard any empty drinks bottles in the DROP ZONE and feel free to collect Two Drinks bottles together with half a banana and half an energy bar. Our marshals will hold these out for you but please slow down and take care.